Ontology is a new high-performance, public blockchain-based project which combines a distributed identity system, distributed data exchange, distributed data collaboration, distributed procedure protocols, distributed communities, distributed attestation, and various industry-specific modules to create an infrastructure for a cross-chain, cross-system, cross-industry, cross-application, and cross-device peer-to-peer trust ecosystem. 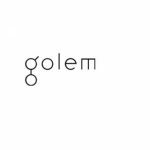 Such a decentralized, open and standardized platform will be suitable for implementation in many industries, allowing various companies to create a user friendly, interactive and blockchain-based environment for their business. 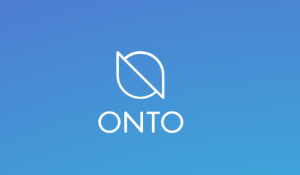 ONTO is a comprehensive decentralized client product and an entrance to the Ontology blockchain system. ONTO allows you to build your own digital identity, store digital assets, and more, all with privacy protection ensured by cryptographic algorithms. ONTO will not save your data. All your information data for authentication and authorization is saved locally on your phone. Unless you authorize its use, no one has the means to take your data. The minimum ONT transaction amount is 1 ONT, and all ONT transactions must be a whole number; the minimum ONG transaction amount is 0.000000001 (ONG is divisible to 9 decimal points). ONT ID is not connected in any way with the wallet. They belong to different function modules. ONT ID is used to manage your identity and related authorization and authentication, while the wallet is used to manage your digital assets. OWallet is a Windows/macOS/Linux desktop wallet for ONT/ONG. OWallet is a comprehensive Ontology desktop wallet. OWallet supports standard wallet management, shared wallet management based on multi-signature technology, and will also connect with various hard wallets such as Ledger, Trezor, and so on. In the next phase, OWallet will integrate more applications, providing developers with smart contract compilation, invocation, and other comprehensive services. Cyano is a web-based wallet, extension for Chrome and Firefox browser. You can create a wallet using mnemonics phrase, encrypt a Private Key and login with with Mnemonics phrase, Private Key or a stored account. It connects with both big hardware wallets – Ledger and Trezor. Infinito Wallet is a multi-cryptocurrency wallet that supports storing of BTC, ETH, BCH, LTC, DASH, and other popular cryptocurrencies, plus all thereum’s ERC20 tokens and NEO’s NEP5 tokens. The team also adds new tokens all the time. Infinito Wallet is also fully mobile, with apps for iOS and Android. The platform operates in 12 languages, with more on the way. Security features like touch ID claim a new standard for mobile wallets. 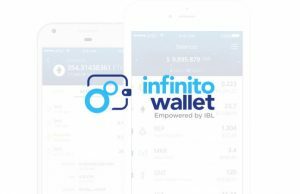 We could go on (and we will), but suffice to say, Infinito Wallet is a cut above the rest and earns our enthusiastic recommendation. Their combination of password, passphrase, and even touch ID makes this as secure a mobile wallet and if you do enough to protect access to your phone itself, there’s little chance that anyone else would be able to use your Infinito Wallet. Your user information and coin data (public and private keys) are not held in centralized servers. Infinito supports more than 1000 coins, to see the full list click here. O3 is a wallet with support for all major platforms: Android/iOS/Windows/macOS. O3’s application platform allows users to connect with awesome apps without having to share sensative data, like Private Keys with third parties. The wallet has full integration with Switcheo’s DEX trading API, meaning you can do trading directly from the wallet. O3 is also the first wallet in the NEO/ONT ecosystem that allows users to purchase with popular cryptocurrencies, and very soon, via credit card. Cobo idea was hatched in August 2017 and by March 2018 a functioning wallet was released. And the development team is continuing to work feverishly to expand the storage capabilities of the wallet. The wallet is specialized for PoS coins – you can use it to stake your coins on multiple proof-of-stake blockchains like Tezos, Dash, Tron, Eos, Ontology etc. 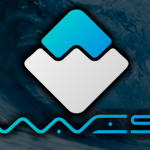 Currently the wallet has Support for 20+ Chains Including ETH, EOS, TRX, and up to 500+ Multi-chain Tokens. Needless to say the wallet is creating a reputation in the cryptocurrency community as a unique and innovative wallet that could become the defacto multiple cryptocurrency wallet. COBO is headquartered in Beijing and has raised a $13 million Series A to get into new international markets. Wu Capital and DHVC led the round. Clay is a multi wallet that supports multiple blockchains AND exchange wallets. Users can easily transfer assets between wallets including exchange accounts, and purchase crypto-financial products, participate in ICOs, and start using all the dApps out there. All user information used in Clay are stored safely in the local device. For security reasons, rooted devices cannot access Clay application. Using Touch ID/Face ID, Clay allows convenient access for users. Math Wallet is a powerful and secure universal crypto wallet that enables storage of all BTC, ETH/ERC20, NEO/NEP5, EOS, TRON, ENU/Telos/EOSC/BOS tokens, supports cross-chain token exchange and a multi-chain dApp store. BitKeep is another multi-currency wallet that supports all major coins along with ERC 20 tokens, NEO/NEP5, EOS, TRON etc. You can add multiple wallets to one account on the wallet. It also has a lot of features like DApp marketplace, direct integration with exchanges for direct trading from the wallet. Private keys are stored locally with multi-encrypted saves. The wallet also has its own BKB coin that is essentially a share of the company and is used for diverse gamefying applications like airdrops or in-app games.